Remember when everyone was worried that text-speak was killing the English language? At one point high school examiners in some places even began allowing students to write essays with the truncated words because of concerns that those students couldn’t spell. Some are saying that emoji is killing the english language, but I disagree. Emoji have become an extension of the English language — particularly among young people — and have improved the way we converse online significantly. Emoji were invented in Japan by the cellphone networks as a method for sending pictographs between phones. The tiny images were extremely popular inside the country for a number of years. The western world only began to take serious notice once Apple included the first official emoji keyboard in iOS 5. Emoji were standardized by the Unicode consortium for the first time in 2011 as part of Unicode 6.0. Behind the scenes, emoji are a simple two-byte sequence (like “U+26C5” which shows as “sun behind cloud” ⛅️) that are recognized by devices and translated into an image. Unicode 6.0 delivered a total of 722 emoji, while the recent 7.0 update adds an additional 250 along with diverse options via a skin-tone modifier. 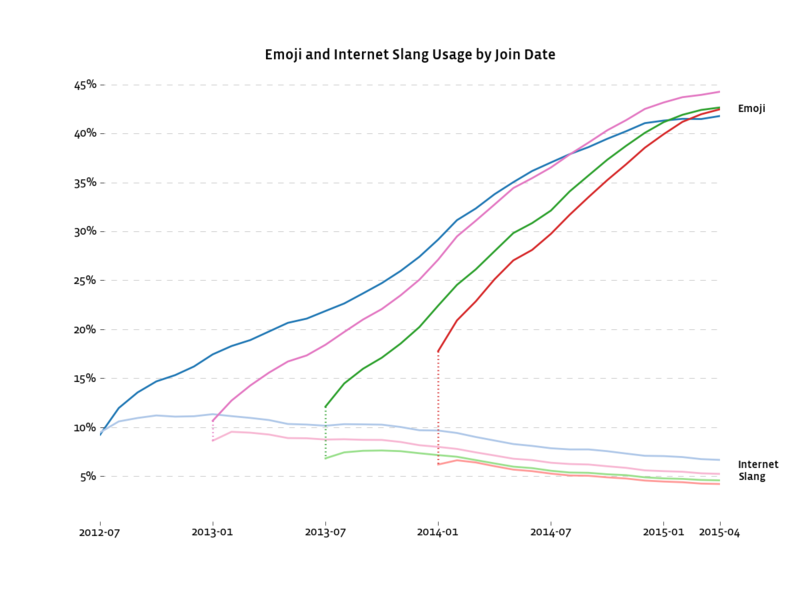 Among young people, emoji usage has become virtually ubiqtuous. Instagram shared this week that almost half of all text on its service contains at least one emoji, with the “crying laughing” emoji (?) specifically leading the pack as the most popular character. Emojitracker, which shows usage in real-time across Twitter provides an interesting look at just how heavily they’re being used. Some services are even incorporating emoji right into their user interfaces to communicate something complex with a single character. 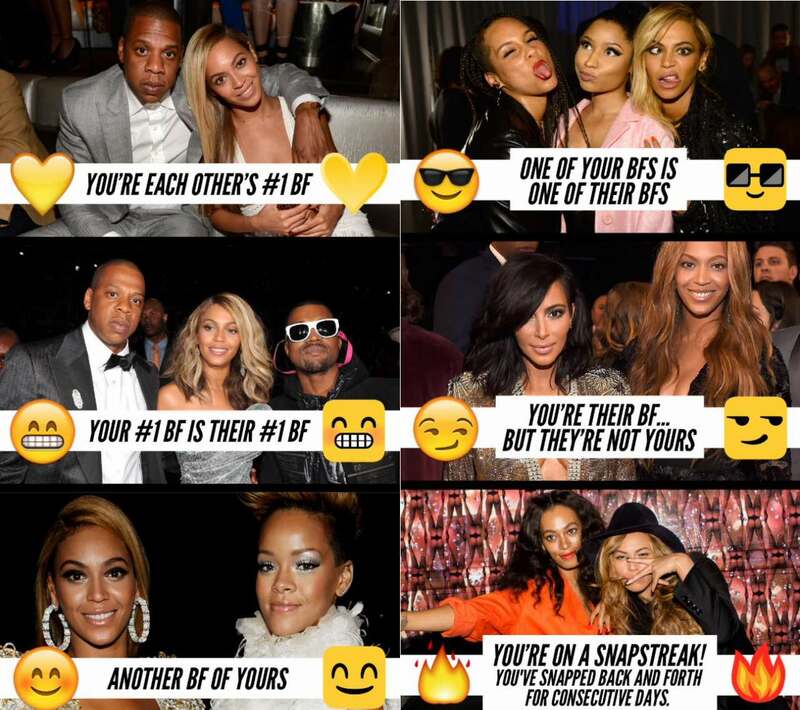 Snapchat, for example, recently released an update that uses emoji to indicate just how often users send each other pictures. In the four years since Apple released its emoji keyboard, these simple pictures have changed the way we communicate online. Emoji aren’t going to kill English so much as enhance it further; they’re a standard to express how you feel, what you’re doing, where you are or the tone you want to convey. There are a lot of emoji haters out there — I was one of them until late 2014 — but they’ve ultimately succeeded as a conduit that almost everyone uses for sharing emotions without needing to explicitly say how they feel. Instead of writing “hehehe” or “lol” in a message, most people my age just reply ???. When thanking a work colleague for a job well-done I might just send ? or ?. When I’m sassing someone online I’ll add ?. Almost every message I send to friends is now appended with an emoji, because it sets the tone far faster than words can. Instagram’s study indicates that over time, emoji are being used as a replacement for many slang words and phrases, as well as to explain how users are feeling. Back in 2010, just before emoji hit the western world, detecting sarcasm online was such a problem that a type foundry actually tried to invent a character that could be used to indicate sarcasm. The “sarcmark” never gained any real traction, likely because universal emoji solved the problem a year later. It’s now as easy as typing ? or ?. Things can get lost in translation and muddled extremely quickly. Despite this, emoji as a standard is only just getting started and will get better at this as time goes on. Emoji are still fairly young. The standard has only recently trickled up from mobile devices to desktop operating systems and the Web. Windows, the most popular desktop operating system, only received emoji support as of Windows 8 in late 2012. The Chrome browser didn’t even support emoji until earlier this year. WordPress only received emoji support last month. You still can’t do an emoji Google search. Unicode 7.0, which is yet to be finalized, brings a number of new emoji and skin-tone options. Unicode 8.0, which is due to be published in June brings a significant number of new emoji like “middle finger,” “taco” and “bum” to the standard. 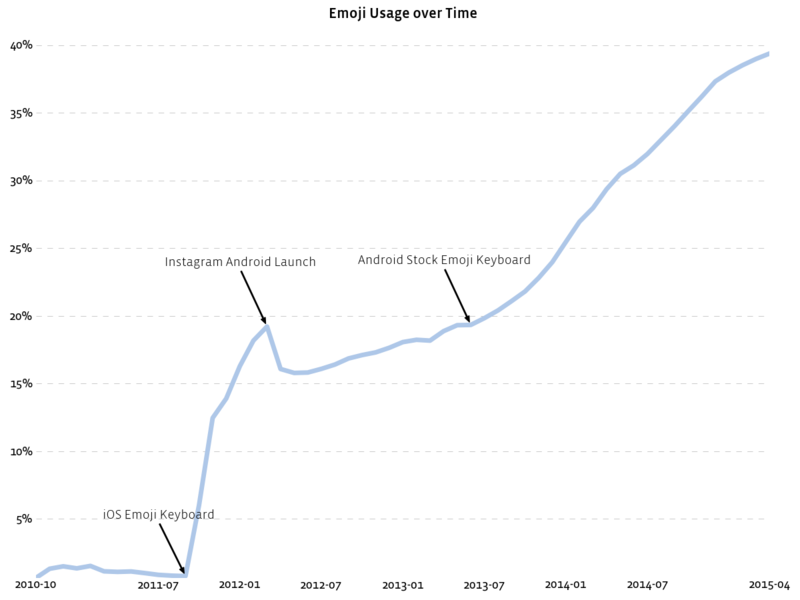 As emoji continue to gain popularity, is there any point resisting anymore? If the internet were a country, emoji would be the official language. Emoji holdouts are gradually caving, even my parents have figured them out recently. I believe they’re improving the way the world communicates online. There’s no need for explaining if you’re upset or frustrated in words if a simple ? or ? does the trick. We will still misunderstand each other, even with emoji, but it’s a little less confusing than before.